3211 Alta Vista Drive is a classic example of the Arts & Crafts movement, and features a renovated interior with a full basement to boot! In the past few years, established neighborhoods and historic districts in the Chattanooga area have been increasing in popularity. Revitalization and increased trends in urban living are pushing buyers to opt for features like lower square footage and energy costs, and easier access to neighborhood amenities. Many of these areas have homes available within city limits, including central locations in the Brainerd, Downtown, and North Shore areas. These are several reasons why bungalow homes are a popular choice for a variety of home buyers for these areas. A "bungalow" typically refers to any home built from 1895 to 1935, but many of the classic bungalows in the Southeastern United States are heavily influenced by the Arts & Crafts movement, and retain distinct characteristics from the era. You can find these homes concentrated in areas near Belvoir, Hill City & North Chattanooga, and historic districts downtown like St. Elmo, Highland Park, and Orchard Knob. 1. Large Covered front Porches, often constructed with thick columns. 2. Open Floor Plans, use of half walls to maximize on open space. 3. Natural materials usually integrated into home, like hardwood floors, stone or brick exteriors & fireplaces, baseboards, crown mouldings, and larger trims around windows are typical of the “Craftsman” era. If you have your heart set on a bungalow, be prepared for coping with less square footage. Since this architectural style is much older, they are equipped with smaller kitchens, bathrooms, and less closet space. However, many neighborhoods in the Chattanooga area have been revitalized, and homes have been renovated—many to their original splendor. In the current market, many of these older homes now contain larger kitchens, more open dining space, and updated bathrooms. Also, many hallmark features of the Craftsman interior still remain--especially built in cabinets, book shelves, and dining nooks. Bungalows are commonly associated with lining urban streets, often nestled tightly together with little space between you and your neighbor. While the yards often sport perks like mature shade trees, established landscaping, and fenced backyards for privacy, the amount of space in your backyard will most likely be smaller depending on the home's location. Ultimately, less living space In many of these neighborhoods, you are buying into a lifestyle of “living urban,” and you are much closer to downtown amenities. Also, many of these home have thriving neighborhood associations. 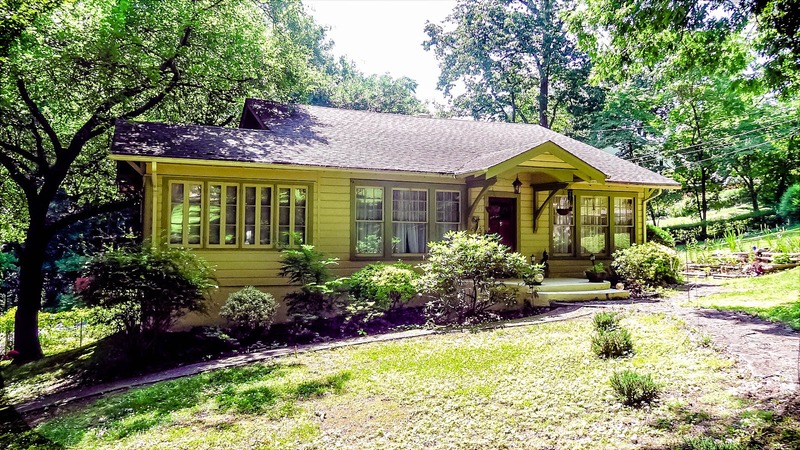 If you are looking to purchase a home in Chattanooga’s metro area, a historic bungalow may be a perfect choice with its charming details and excellent central locations.